We all have stories about horrible bosses or incompetent project managers. But have you ever wondered whether you actually happen to be one of them? You know … a project manager that, even with the best of intentions, is somehow missing the leadership mark and failing at overall project management? The sad fact is this: bad managers cost businesses billions of dollars each year, and having too many of them can bring a good company down. In fact, according to Gallup research, companies fail to choose the right candidate for a management job a whopping 82% of the time. And no matter how wonderful your company benefits are – even if you have great incentives and employee programs, along with health insurance and other attractive perks – they won’t matter at all if your people are stuck with an ineffective manager. To put it simply: if you are a bad boss, nothing else counts. So here’s a reality check: are you getting in your own way when it comes to being a productive and effective leader? Are you failing at successful project management and team building? Here are six common team and project management mistakes you might be making without even knowing it. Ineffective leaders pay more attention to policies, spreadsheets and task management than they do to their own employees. Even though they usually like to talk about how great teamwork and positive employee morale are to the organization, their true focus is on the bottom line. They are often inflexible, and tend to lose key employees due to their lack of connection and inattention to the human factor. Managers who ignore their role as a motivator, and instead incessantly focus on the negative (what is going wrong or who needs to do a better job), will eventually see the same perspective rub off on their team. In addition, with a consistent absence of positive feedback or recognition for achievements and accomplishments, workers will most likely leave the company for a better work environment. We’re all familiar with the know-it-all manager – they are better, faster, smarter and more experienced in everything in the world. They’ve been there and done that, no matter what the topic is. They resist new ideas because they already know that “it just can’t be done or we’ve already done it. I know what to do.” These types can be infuriating, and thwart the creativity and talents of the team. They’ll give you week’s worth of assignments and expect them to be completed in two days, push you to your limits, and fail to be impressed or appreciative of your best efforts. When effective communication isn’t happening, the manager often ends up frustrated and befuddled, blaming employees for incompetency instead of realizing that the mission wasn’t clear in the first place. Kanter says that while they know in their head what they mean, they don’t always clearly explain it to the team, or if they do, the message gets lost in translation. Managers who play the blame game every time something goes wrong (or plead ignorance when superiors ask questions), are playing with fire. Experts say it’s a bad idea, and usually backfires on those who refuse to take responsibility for their actions, department or projects. For starters,when a manager uses that type of strategy, they send the message to employees and customers that they don’t have any new ideas to offer or contribute. And according to Richard Levick, CEO of public relations firm Levick, blaming others only shines the spotlight on past failures. “When a CEO or any alleged leader spends more than a few moments blaming others, they’re saying, ‘I don’t have the ability, the leadership or the vision to take us where we need to go,” says Levick. So what do you think? 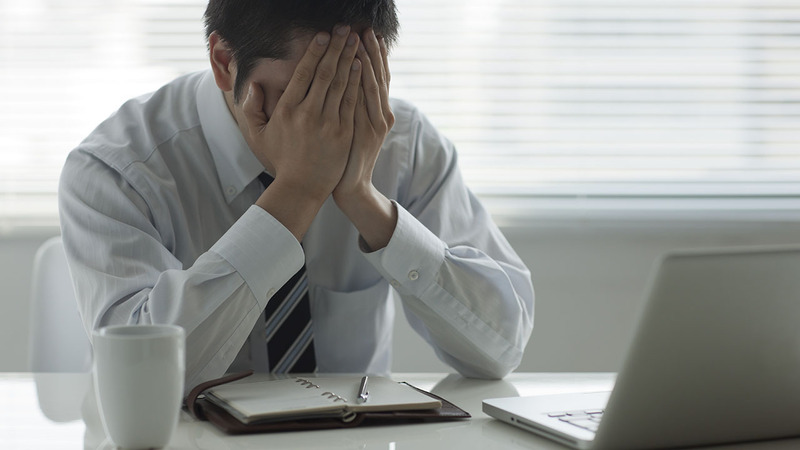 Are you guilty of making any of these management mistakes? Or do you have experience dealing with a manager who makes them? Were you or your team less productive, and how did you handle the situation? To learn more project management and team building, check out our guide – a 10 Step Guide to Building Better Teamwork.